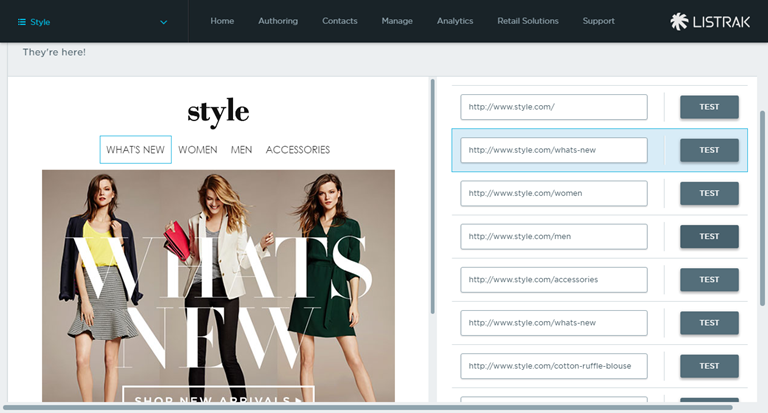 Learn more about the link editor. 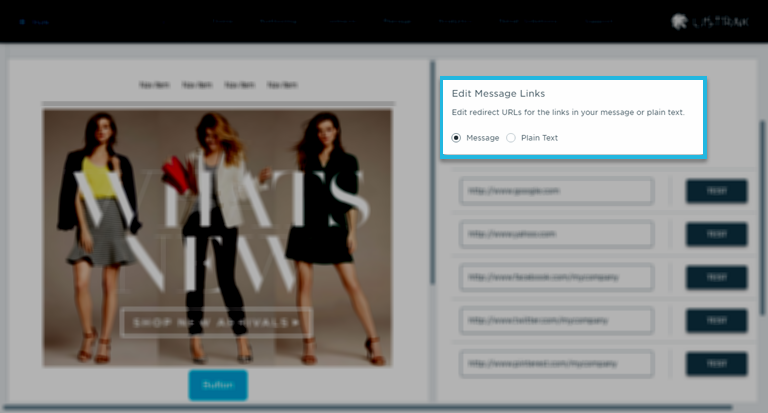 Listrak gives you the ability to test and replace links in an email that you have already sent. Although you should always test your links before your email is sent, you can use the link editor to replace or update a link with ease. Access the link editor by clicking the link editor icon on the home dashboard. You can access the link editor for recently sent messages on the home dashboard by clicking the icon above or by following the below steps. 1. Navigate from the home menu to Analytics. 2. Go to Message Analytics. Recent messages will appear here. You can also view test messages by clicking the checkbox at the bottom of the page. 4. Click the Link Editor icon. 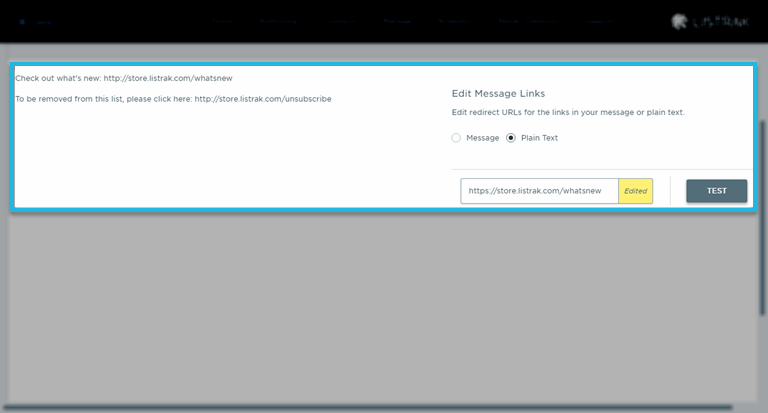 When landing on the link editor page, the subject line of the message you're editing will appear at the top of the page, followed by a split screen preview of the message and a link editor. Your messages can be edited in the message preview or plain text, as shown below. You can edit a link by clicking on it in the message preview panel, where the link becomes highlighted in blue. Once you're finished editing, you can save your changes at the bottom of the page. Be sure to save your changes often, as they don't automatically save. 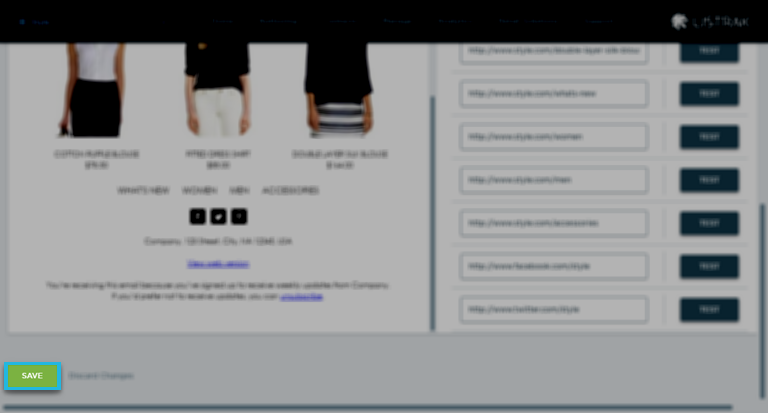 At the top of the page, you can opt to edit your links in plain text. When selecting the plain text option, the link you select to edit will highlight blue and reflect the changes.